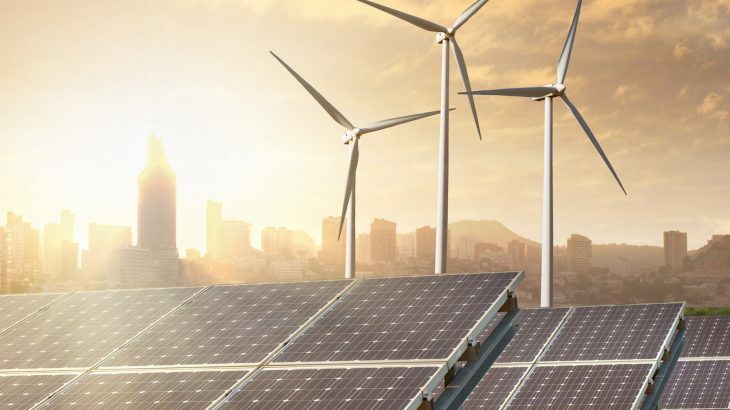 Renewable energy sources, including solar and wind power, are becoming increasingly popular and are supplying more electricity to power grids, employing more people, and drawing investors than ever before. Fossil fuels, specifically natural gas, remain the primary source of energy for the United States and much of the world. Meanwhile, the US Energy Information Administration (EIA) has recently published a report projecting the continued rise of non-hydroelectric renewable energy. For at least the next two years, solar and wind power will be the fastest growing source of generated electricity for the United States, the report found. Coal is on a downhill slide, despite the Trump administration’s heavy push for fossil fuels and vocal support for the coal industry. But the coal industry can’t compete with the boom in natural gas, as natural gas supplied 35 percent of total US electricity generation in 2018 whereas coal provided only 28 percent of US energy needs. This was a stark change from 2010, when coal generated 45 percent of the total power generation. “Coal is just an expensive technology that can no longer compete,” Kingsmill Bond, a new energy strategist at Carbon Tracker, told CNN. Natural gas continues to race ahead of coal, and 2016 was the first year that natural gas surpassed coal power plants in electricity supply. However, one of the biggest takeaways of the new report by the EIA is the projected growth of renewables. According to the report, solar power generated electricity will increase by 10 percent in 2019 and 17 percent in 2020. Wind generation will see a similar boom and electricity produced from wind power will increase by 12 and 14 percent over the next two years. Currently, solar power is the third-largest renewable energy source in the US, and the EIA reports that solar, wind and other non-hydroelectric renewable energy sources will generate 13 percent of total electricity in the US in 2020. Renewable energy is a booming industry, and the renewable energy sector has one of the fastest growing workforces in the world. This new report shows that renewables are becoming more reliable and could soon compete with fossil fuels in meeting the world’s energy demands.